When Radiohead visited the show in 2006, no one could predict that the band's experiment with In Rainbows would be so successful. Take a listen to Jim and Greg's conversation with this year's biggest newsmakers. And later the critics will sound off on the new album from pop punk outfit Fall Out Boy. With the emergence of the mp3 generation has come increasing concern about the relationship between personal music players and hearing loss. A recent European study links loud headphone habits to permanent hearing damage, and in some cases, damage you may not notice for years. Because so many music fans are listening to their tunes via iPods or other mp3 players, Jim and Greg wanted to get the lowdown on music-related hearing loss from Chicago DJ and producer Carolynn Travis, known to many as Chaka T. Due to her life in the music scene, Chaka is now legally deaf in one ear, and has a 60% loss in the other. She is a hearing protection advocate and founder of the hi-fi earplug company EarLove. Looking back at the year in music for 2008, one could easily argue that the biggest newsmaker was Radiohead. The band's pick-your-own-price experiment with In Rainbows paid off big time, selling 3 million copies and earning them a Grammy nomination for Best Album of the Year. Radiohead's model may be the future of the music industry, but it only seems like yesterday that band members Thom Yorke and Jonny Greenwood were musing about revolution in the Sound Opinions studio. Listen back to this re-broadcast of Jim and Greg's conversation with Thom and Jonny, and you can hear that the seeds of change had already been planted. Hungry for more Radiohead? Listen to their entire interview and performance from 2006 here. 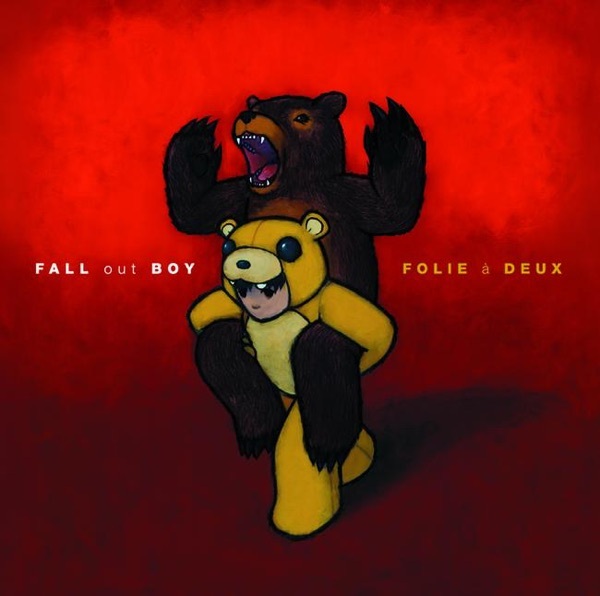 The pop punk band Fall Out Boy is back with a new album called Folie à Deux, which translates to“A madness shared by two.”It's not clear if this“two”refers to songwriting duo Patrick Stump and Pete Wentz, or Wentz and his celebrity bride Ashlee Simpson. But either way, Jim and Greg both think that Fall Out Boy stands out from the rest of the mall-punk crowd. Greg is especially impressed with Stump's vocal abilities. He thinks there are some terrific, short and sweet tracks on the album and recommends listeners Try It. Jim thinks Fall Out Boy consistently delivers the goods and predicts that one day Greg will join him with a Buy It rating. The final Desert Island Jukebox pick of the year goes to Mr. DeRogatis. Both Jim and Greg had the pleasure of seeing Neil Young on his recent tour. Jim explains that there has never been a Young misstep live although such is not the case with his recordings. In particular, he was not originally a fan of the 1992 album Harvest Moon. But now he's motivated to give the album and its track "Unknown Legend" a second look. This shift was partly inspired by the use of the song in the new Jonathan Demme film Rachel Getting Married. Lead actor (and TV on the Radio frontman) Tunde Adebimpe sings "Unknown Legend," as part of his character's wedding vows, and Jim came to realize that it's a classic tune in the vein of other Young greats.